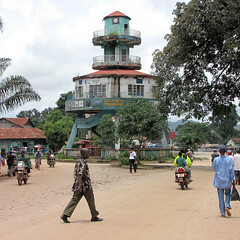 The third largest city of Sierra Leone is Kenema, with an estimated 165000 inhabitants. This is after the nearby city of Bo, with some 215000 people and Freetown, with an approximate million. 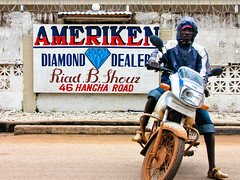 Kenema is a major diamond trading center and every second building on the one main street in the city is a diamond trader, though most do other stuff on the side too. Bike repair, for example. 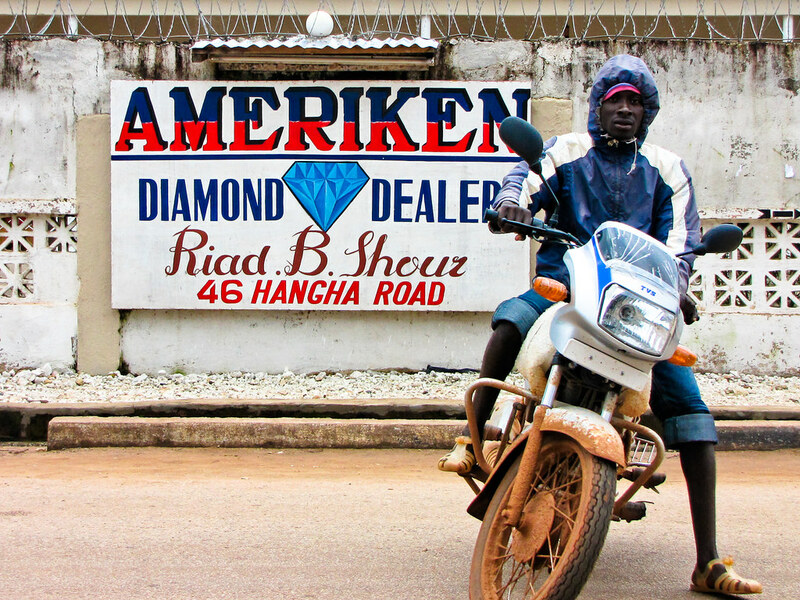 Diamonds were discovered here in 1931, but the town was already doing well enough before that, having reasonably developed logging and carpentry industries, which were the reasons the Sierra Leone train line ran from Kenema to Freetown, until it was discontinued in the early 1970s. Due to the city's economic activity, it's no surprise it has the country's second largest Lebanese population. 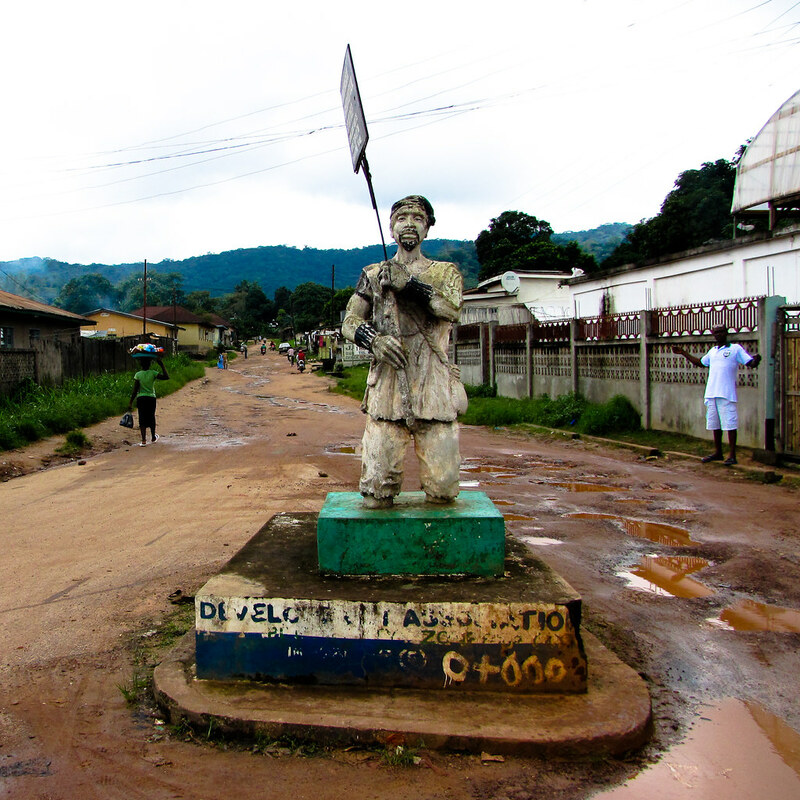 The city is about 300km from Freetown, but the main road from city to city is in an exceptionally good state. Apparently built by the Chinese in little spurts over the last few years, I'm wondering if the road will also be kept up to par. Also because traffic was minimal, which allowed us to race from door to door in five hours. And that was including the first hour or so, where we took Spur Road to avoid traffic on the main road out of town. Though a quiet road, it is also in horrible shape. 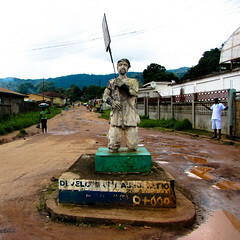 To keep things interesting, the city, like Bo, is in the middle of an area where Lassa fever is endemic. Lassa fever, a highly contagious tropical hemorragic fever, infects about half a million people yearly and results in some 5000 deaths annually. 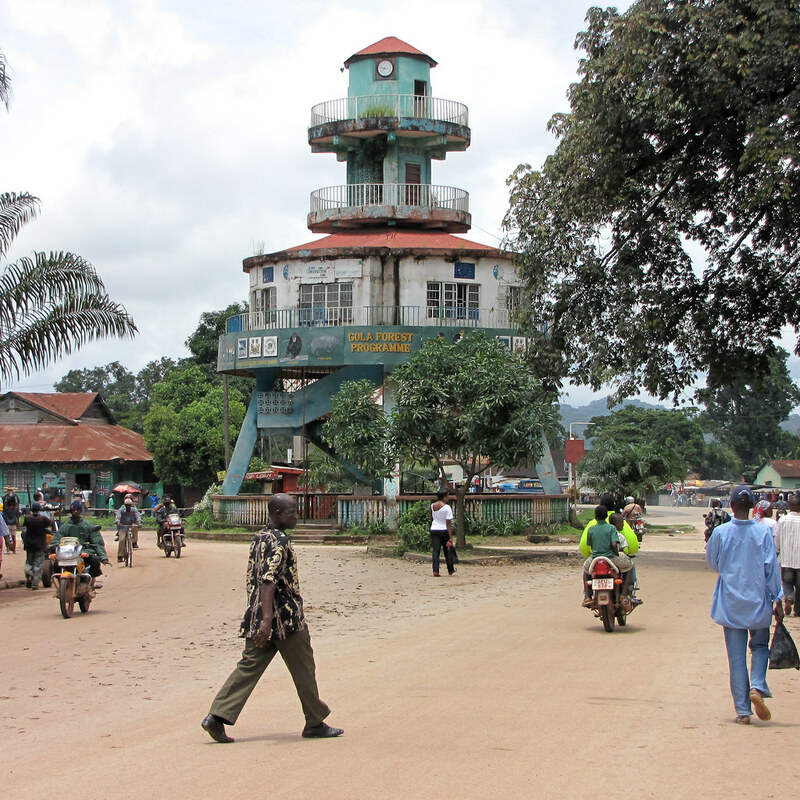 Kenema hospital admits some 500 cases yearly. Just the week before we arrived in Kenema, a German girl had quite suddenly died, possibly of Lassa fever, though only malaria was diagnosed. There's very, very little to see in town. A few feeble monuments commemorate war dead and important sons of the city. A clock tower, built by Pakistani UN soldiers a few years back is the best the town has to offer. And it's locked.